The Summer of 2k18 will witness the Two International Denim Shows hosted by Denimsandjeans.com. After the two consecutive successful shows in Vietnam and One in India , the organizers are going to launch the next editions of both the shows in June and August respectively. Vietnam, being one of the most important sourcing destination , has become the favorite destination for the sourcing heads. The country is already a large supplier of apparel to US and EU and is expected to further grow in the coming years as the pending FTA with EU goes through mid of this year as expected by the authorities.This will bring numerous opportunities for the country to grow itself and play a much larger role as international supplier of apparel globally. Vietnam has currently about 6,000 garment related companies that employ 2.5 million people and exported $28 billion worth of clothes in 2016. 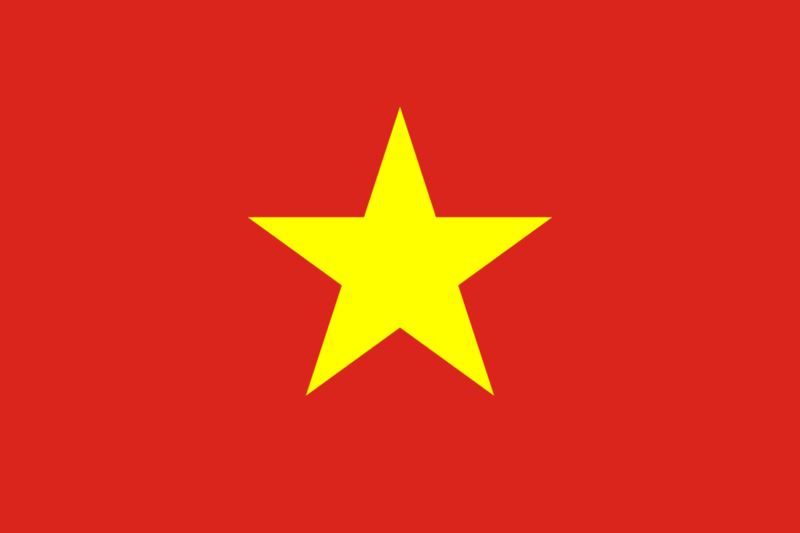 Vietnam is the 2nd largest exporter of apparel to the US behind China. Though the free trade agreement with the US and Vietnam (TPP) was chopped by President Trump but Vietnam is still able to produce for their US customers with reasonably competitive price. From a labor cost perspective, Vietnam Garment Industry in 2017 is cheaper than China and Eastern Europe. Vietnam has signed many bi-lateral trade agreements with other countries including Russia recently which in long run benefits the local as well as the International Denim Supply Chain Partners.Vietnam has very favorable trade policies and the labor conditions are very stable as compared to other countries. In the latest Apparel Survey Report released by Mckinsey , Vietnam ranked in top 5 as the best sourcing destinations in the world. 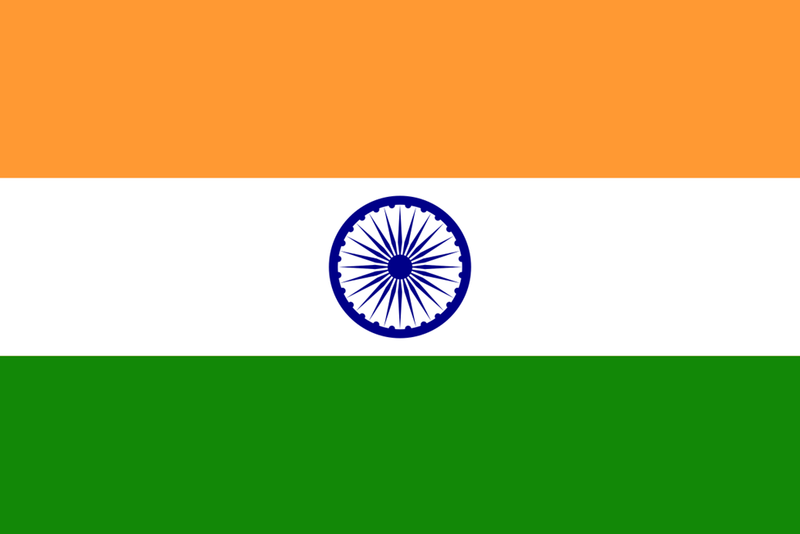 World’s largest democracy ,2nd largest market and 3rd biggest economy , Yes ! India is a country of massive opportunities especially in the Retail sector . The country will be touching the magical figure of USD 1 Trillion by 2020 so far as the Indian Retail Industry is concerned. Few decades ago , the country ruled the International Textile Industry and after such a long gap , India is again attracting the International Retailers as the taxation and ease of doing business are becoming more favorable for the foreign investors. Denim has been one of the main booming textile segments in India in the past decade. Whereas in 2005 the consumption of jeans in India was less than 300 million pieces, today its almost doubled with an annual growth rate of more than 10%. This gives India the distinction of being the second largest consumer of denim apparel after China. India is set to get a big lead over US and EU in coming years, as its consumption increases in Tier-2 and Tier-3 cities and consumption reaches about 1 billion jeans in next 5 years ! 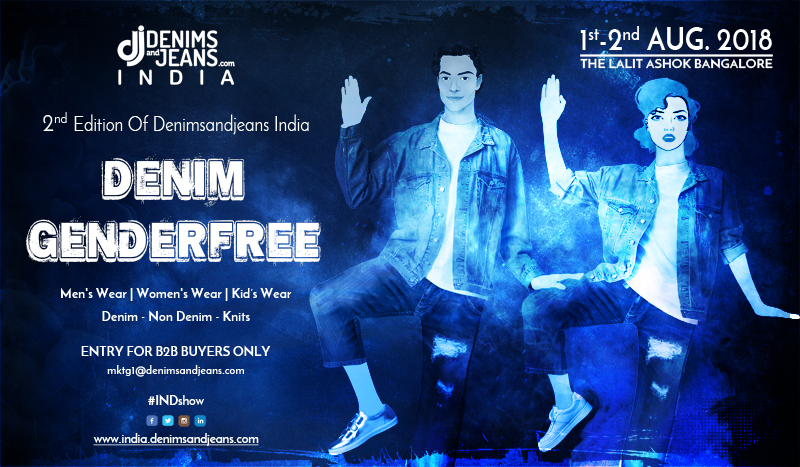 The 1st edition of Denimsandjeans India was a great success and witnessed the phenomenal attendances throughout the show. 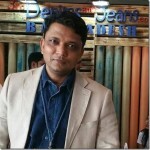 With over 1500 visitors from all the major brands, retailers, buying houses etc in India and some from overseas, it was probably the best aggregation of denim industry in India in a very long time. The post show report of the last show can be read here. The 2nd edition is scheduled to be held on August 01-02 at Hotel The Lalit , Bangalore. The theme of the show would be DENIM GENDERFREE which seeks to bring focus on the growing trend of creating unisex denim collections.